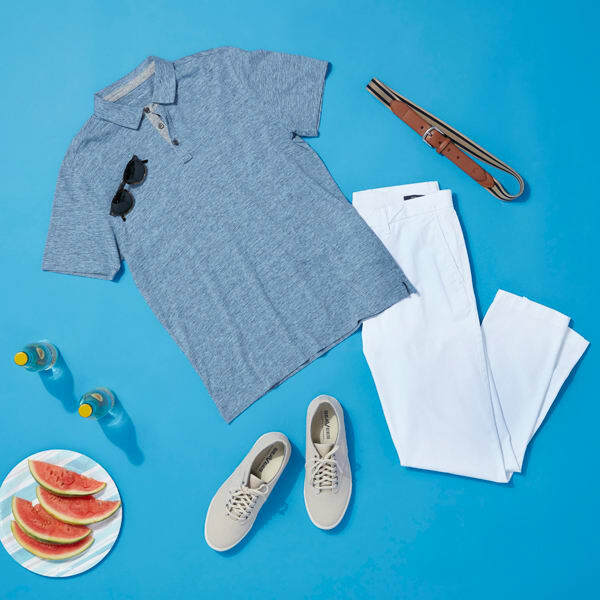 Holiday BBQs are all about the friends, family, and food—so why spend your time figuring out what to wear? 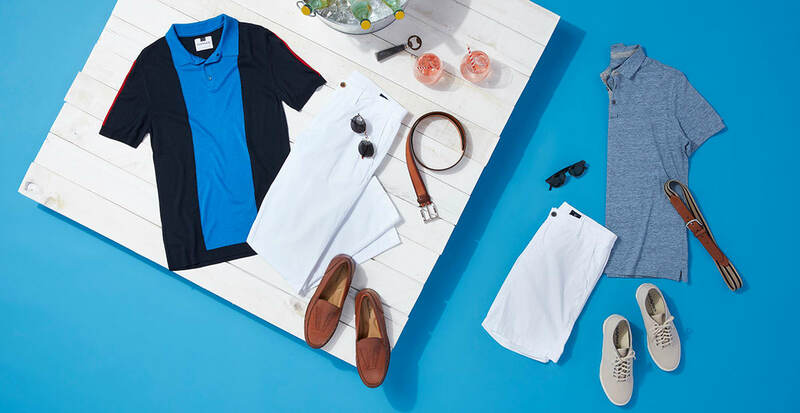 In this post we’re featuring easy, casual ways to bring white shorts or pants into your spring and summertime wardrobe. White shorts are a great basic for warm weather. Paired with brown loafers and a brown belt, you’re free to wear lots of color up top. 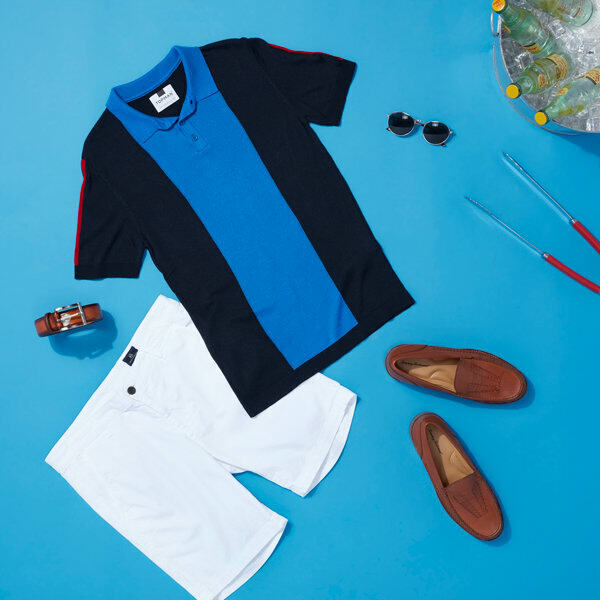 In this case, we chose a lightweight jersey-knit polo. Short or long-sleeve button-downs, graphic tees, and sport coat combinations are also great options. If you want to wear white pants but still show off your shoes, feel free to cuff ‘em. Simply flip your hem over about an inch for a relaxed cuff, or repeat the roll again to show some ankle. Just remember, this technique works best with slimmer jeans.